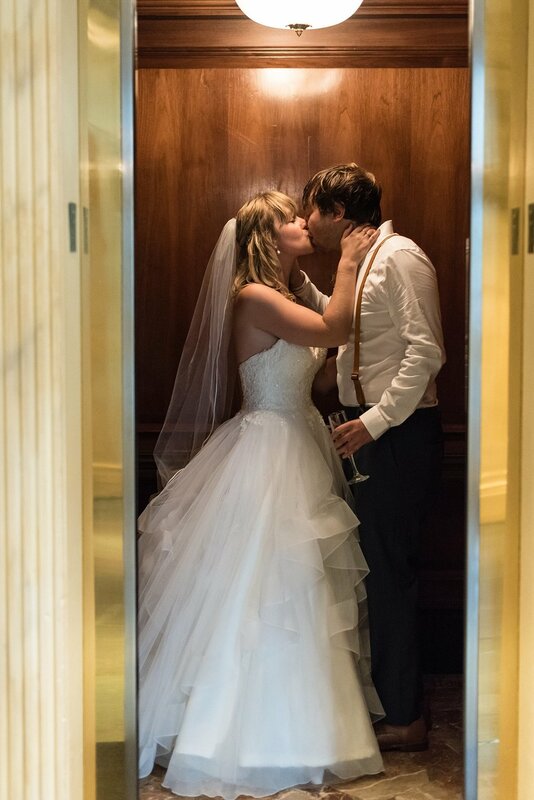 Intimate, tiny weddings and elopements are so much fun to experience. 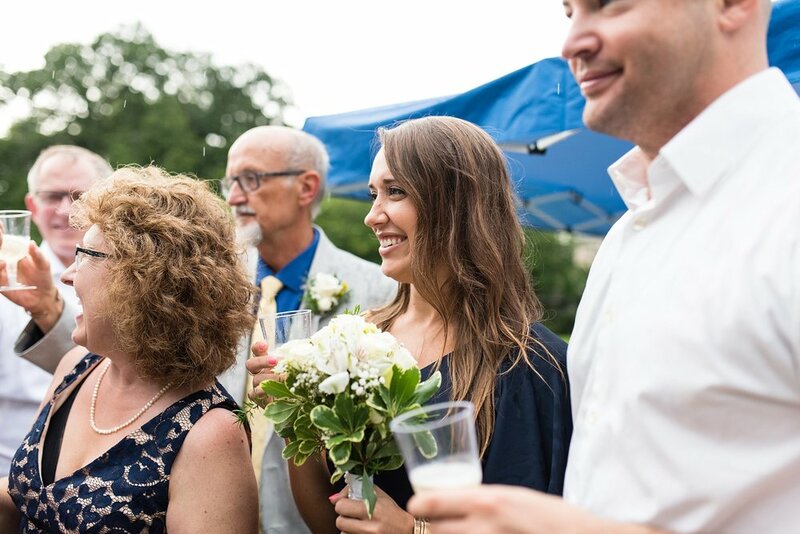 Even though the guest list is small, nothing is lost with a tiny wedding. Actually, it seems that couples get a unique experience that's quite rare. She still puts on a beautiful gown, he still gets nervous, the vows are promised, and champagne is popped. But more than that, you get to really connect with your spouse. You get to have meaningful conversations with your the few guests. You get to remember it all because there's minimal distraction. 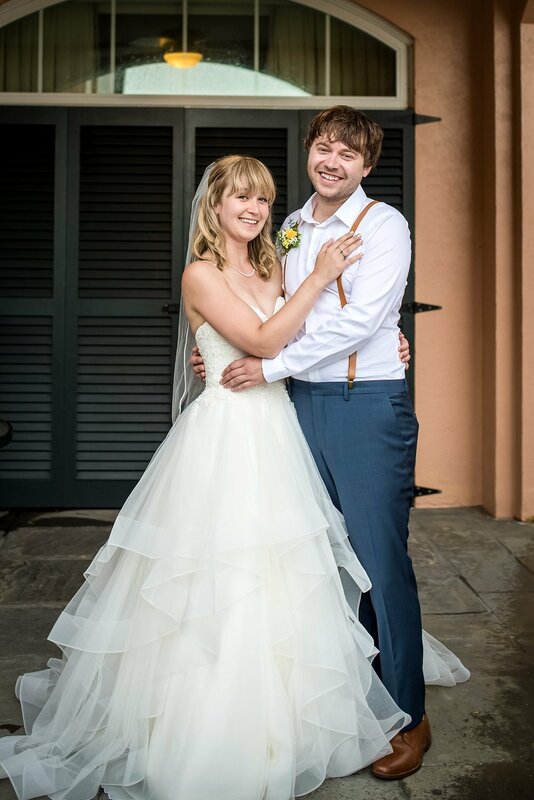 Kate & Mack's wedding day was the epitome of memorable. 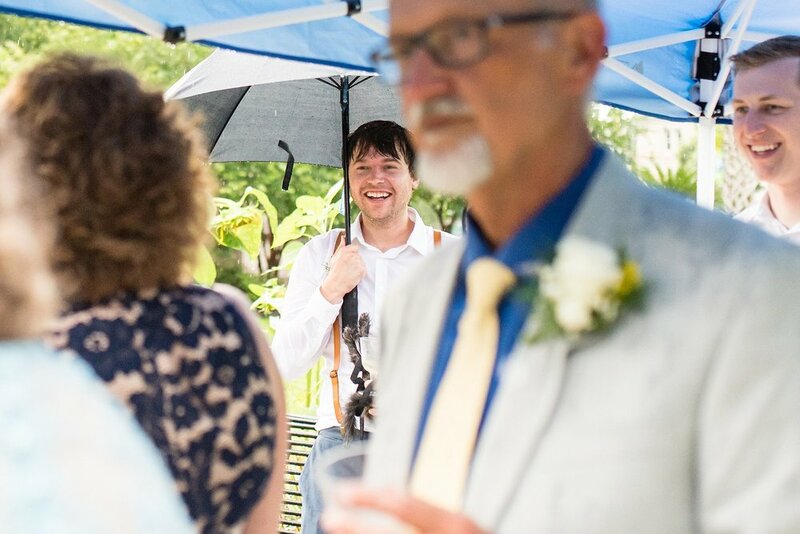 As I arrived at Hotel Monteleone, the rain was steadily drizzling but I held out that it would clear for their outdoor ceremony at Audubon. But, as luck would have it, the rain didn't stop until I was in the car on the way home. 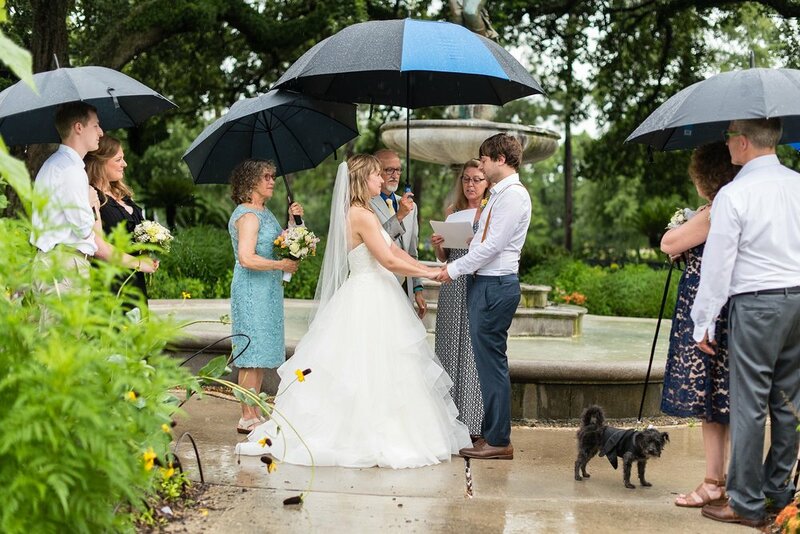 But this couple took the weather gracefully and embraced it by saying their vows under umbrellas held by their family. PS - Their dog is completely unimpressed by me. Haha!